One of the best Sabres around! Built when plastic boats were built to last, Alan Hill penned this successful family cruiser for the 80s market. Crews' ideas of acceptable accommodation may have moved on but the lines of the Sabre 27 have stood the test of time and she is a capable and good looking coastal cruising boat. This particular example is owned by a professional yachtsman who sadly finds that his work doesn't allow him the time to sail his own boat any more. The photos show she wears her years well and was given a fairly substantial makeover in 2017 with new upholstery, head-linings, carpets and interior joinery as well as a host of new equipment. She is currently tucked up ashore for the winter and the owner is keen to move her on before the start of next season. This is reflected in the price which is pretty competitive considering her good condition. 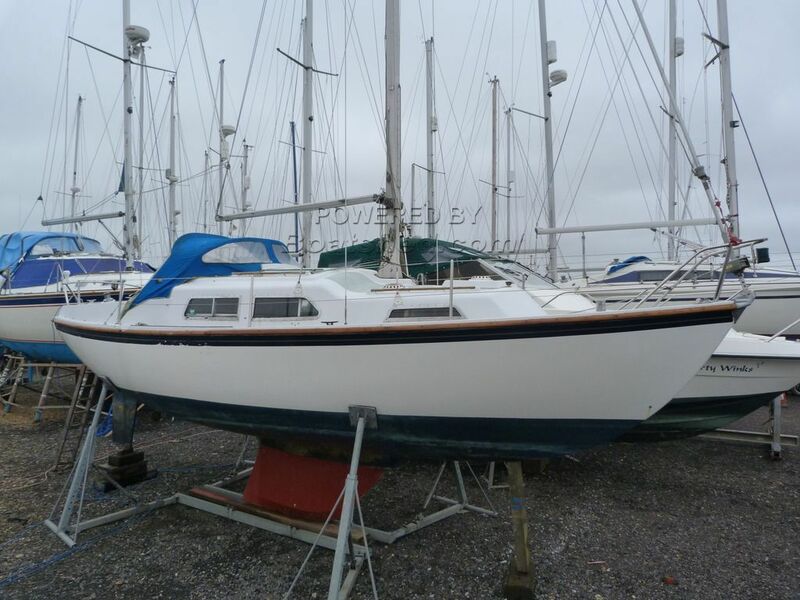 This Sabre 27 has been personally photographed and viewed by James Gould of Boatshed Portsmouth. Click here for contact details.